We were asked by a friend if we could take MythOff to a high school, as a gift to a mythologically inclined seventh grade class. We said yes. 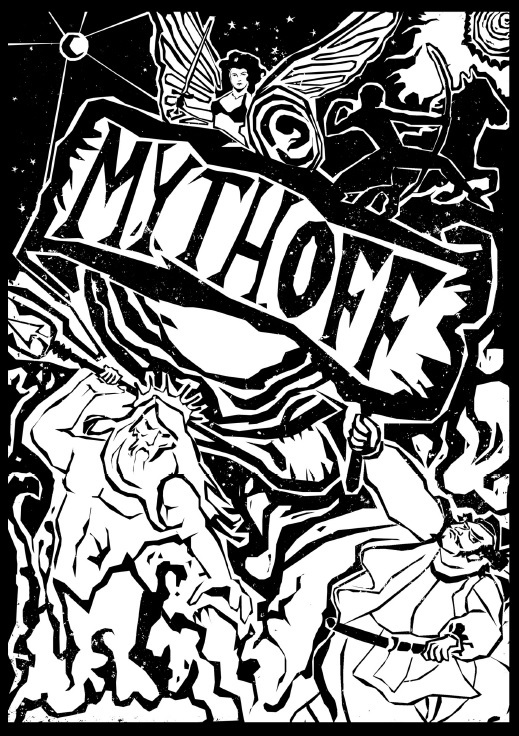 MythOff is a series of live storytelling events that was invented bring mythology, told live, back to modern audiences. It is generally an adult event; we do it in pubs, and coffee houses, and other similar venues. We have never had one in a school setting before - but when we were asked, some of us could not say no. I love telling to teenagers. They make an amazing audience. 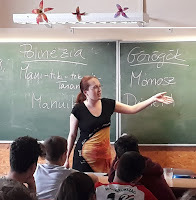 In addition, when I was their age, I was a complete mythology dork: I made lists of gods, and read Graves and Kerényi, and collected magazine articles in a binder. And that was pre-Percy Jackson. 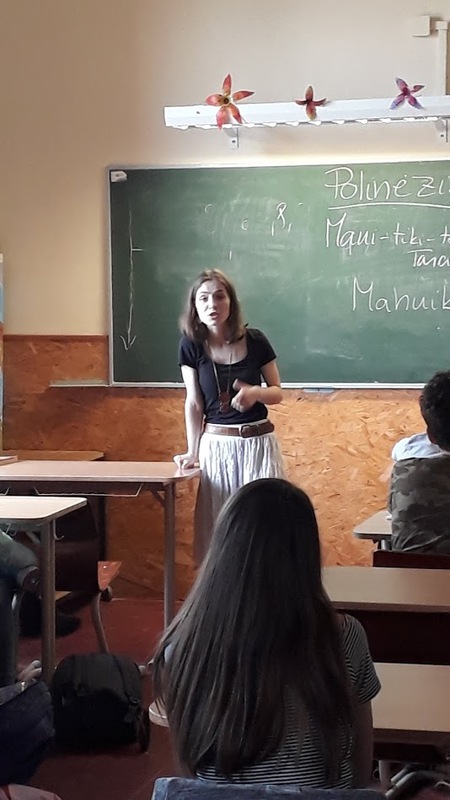 I tried to imagine how I would have reacted if real storytellers came to my school to do real mythology. All three of us picked a mythology. For round one, all three of us brought stories that involved creation, or birth, or origins... and also, completely by accident, tricksters. Varga-Fogarasi Szilvia brought the birth of Maui; Nagy Enikő the story of Sif's golden hair and Loki's bet for the forging of Mjölnir; and I brought Momus, and his critique of Greek creation. I especially had fun with the Greeks when I asked the kids how many gods live on Mount Olympus (they knew). 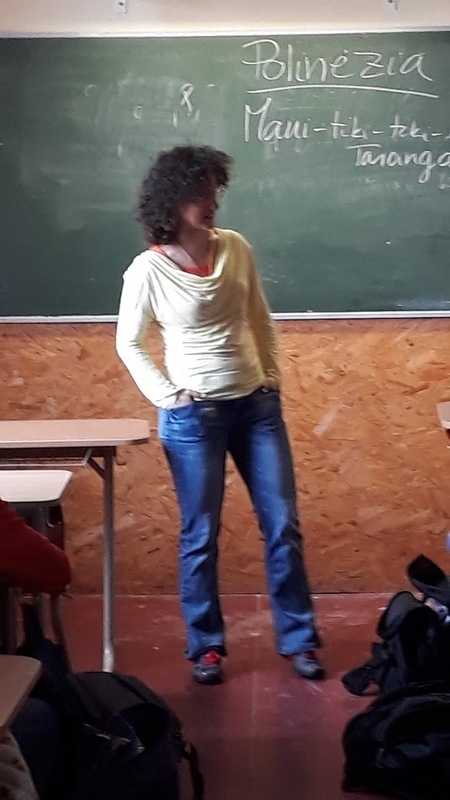 Then I asked if someone could list them... and a girl, very proudly and confidently, listed all twelve, with some enthusiastic support from her classmates. Be still, my heart. The voting question: We never really had a MythOff with an odd number of tellers before - but we came up with a genius solution. First, I asked the class if they knew how the Trojan War started. A guy said that someone kidnapped someone's wife; a girl added that the wife had been given to Paris by Aphrodite. Someone else added that it was in exchange for the golden apple; and yet another person pointed out that the apple had been thrown by Eris into a wedding. 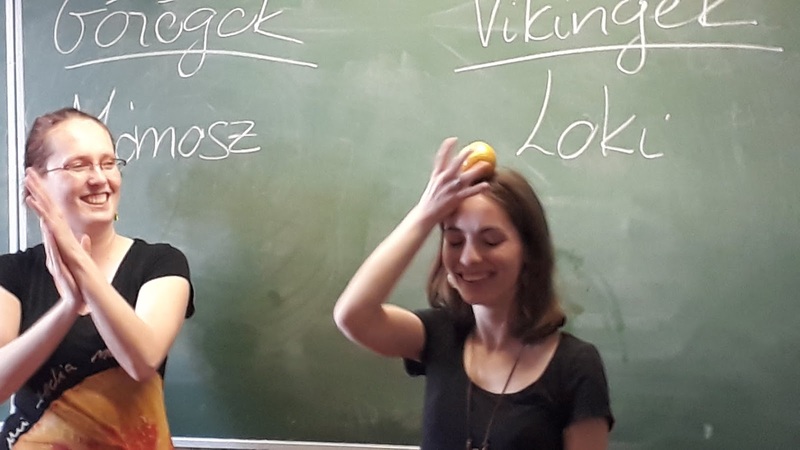 After the class assembled the entire story, I produced a golden apple (I painted it gold the night before, along with half the kitchen), and the voting question: If you had to pick a roommate when you go to college, which one of the three tricksters would you want as your roommate? Szilvi brought three cups and a box of glass pebbles. Each cup represented a mythology. 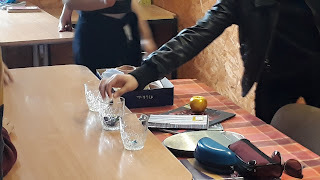 Each student got one pebble, which they places in the cup of their choice, under the supervision of the two guys in the front row, who enthusiastically commented on the proceedings, and monitored the fairness of the vote. Loki won by considerable majority (with Momus second and Maui last). If they wake up one day in college with their hair cut off, I take no responsibility. This round involved myths where someone pissed off a deity in some way. Szilvi brought Maui back, and told about how he stole fire from the volcano goddess Mahuika (you're welcome). Enikő brought Thor, and told the story of how he was dressed up as a bride to take Mjölnir back from the giants (and then killed them all). On my part, I told the myth of King Erysichthon, and how Demeter punished him with deadly hunger when he chopped her sacred grove down. The voting question: If you had to give the golden apple (I made two) to a god, knowing that the other two will be angry at you, which god would you want to piss of the least? Once again it has been proven that mythology works like a charm in high school. And that high schoolers make an awesome audience. They were attentive, appreciative, creative, they made comments and asked questions, and took the vote very, very seriously (I loved hearing them discuss their decisions in line). Bring more storytelling to high schools! What a fun & memorable class for everyone! Now I want to pull out our Bullfinch's Mythology and start reading it aloud to my kids again! Have you considered teaching online classes via something like Outschool? They offer live classes AND flexible schedule ones, which I assume are pre-recorded. It is based in the USA, and maybe teachers have to be from the USA, but I imagine there are other such programs! This is AWESOME! Keep it up! I do lots of school visits (for art and writing) and have without fail found kids from 1st grade through high school to be curious, enthusiastic, and smart.